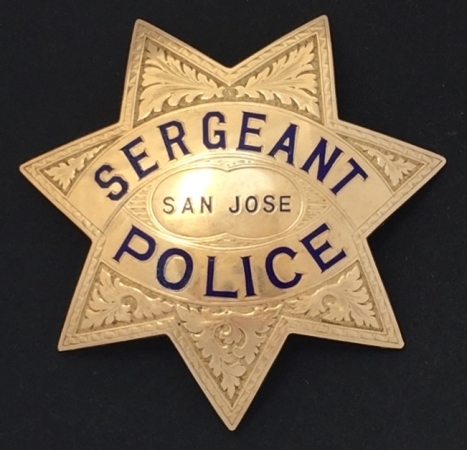 14k gold presentation badge given to Sergeant Loyd Buffington San Jose Police Department. actor Murray Hamilton to his right. Sergeant Loyd Buffington wearing his new 14k gold presentation badge. a model 1905 Chase automobile in 1940.